This info is for everyone who likes superheroes, cartoons ("animation"), pop culture, or grew up watching FOX Kids Network in the early 1990s. 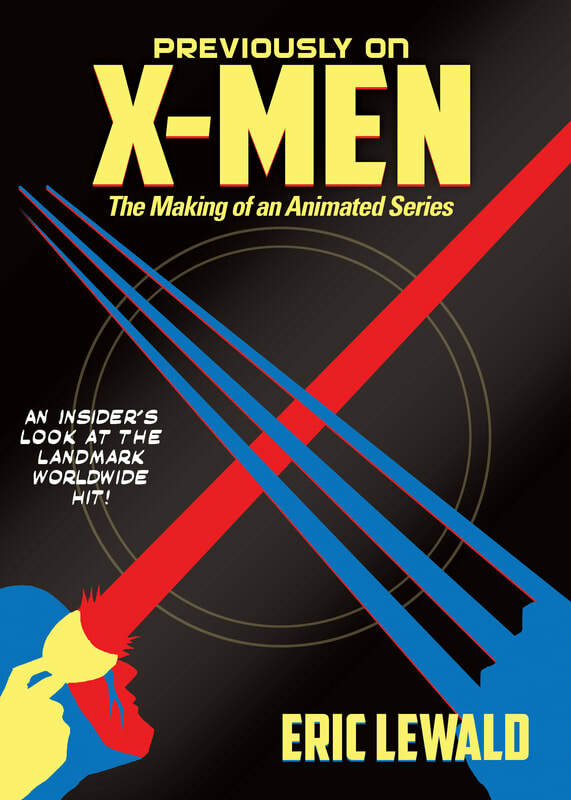 Jacobs Brown Media Group/Jacobs Brown Press is pleased to announce Previously on XMen, The Making of an Animated Series by Eric Lewald is available for pre-sale beginning October 31, 2017. Previously on X-Men is Eric Lewald’s personal, inside account of how the series got on the air, the many challenges that were overcome, and how the show prevailed. The head writer interviewed 36 of the artists, writers, voice cast, and executives who helped make this game-changing series a worldwide success. This book is an authoritative look into the creation of the animated series that nobody expected to succeed. Lewald offers a unique behind-the-scenes look at the beloved Saturday-morning cartoon series. The hard cover book, over 460 pages and 300 images, is estimated to begin shipping November 10, 2017. And, when you purchase through the Jacobs Brown store, will be autographed by the author, Eric Lewald. Folks, I edited this book. It's a top-to-bottom chronicle of the step-by-step development of the X-MEN: TAS show, by the guy who done did it. Or, at least, he brought together all the people who HELPED him do it. There's also interview material with Wolverine creator Len Wein, especially notable since Wein's passing earlier this year. I know that lots of you guys are interested in this kind of stuff. Believe me, this book is chock-a-block full of insights and interviews. It lays out the step-by-step processes which brought the show to your living room. Author Erich Lewald, my temporary email buddy for this project, has done a great job giving YOU the straight poop on how things assembled, shook together, and grew. I love the little reminiscences about struggles with animation companies, the saga of the different cast voices, and the struggle to get stories onto the air when aspects of a story might scare the "Standards" department. Buy the book, and learn while having fun!